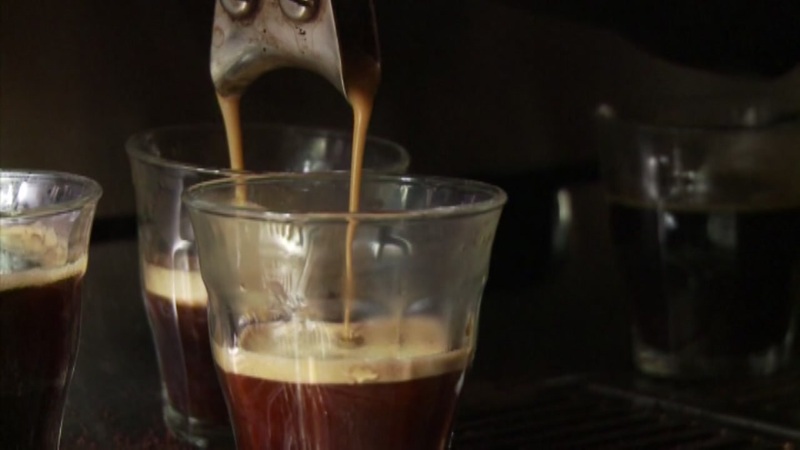 A new diet book claims coffee is the new red wine, and it's helping some coffee lovers lose weight. Americans drink an average of three cups of coffee each day, spending over $13 billion on brews each year. A new book, "The Coffee Lover's Diet," claims to help shed the pounds. The author, who is also a doctor, recommends adding several cups a day to a low calorie balanced diet. "First of all, it's gonna increase your metabolism a little bit. You know, you'll burn 100 or so more calories with the caffeine. It does help to sort of take fat out and use it during exercise. It does improve the intensity that you can exercise at<" said Dr. Bob Arnot. Experts caution if too much coffee makes you stressed, anxious or sends your heart racing, scale back or switch to decaf.